A perfectly platinum pair. 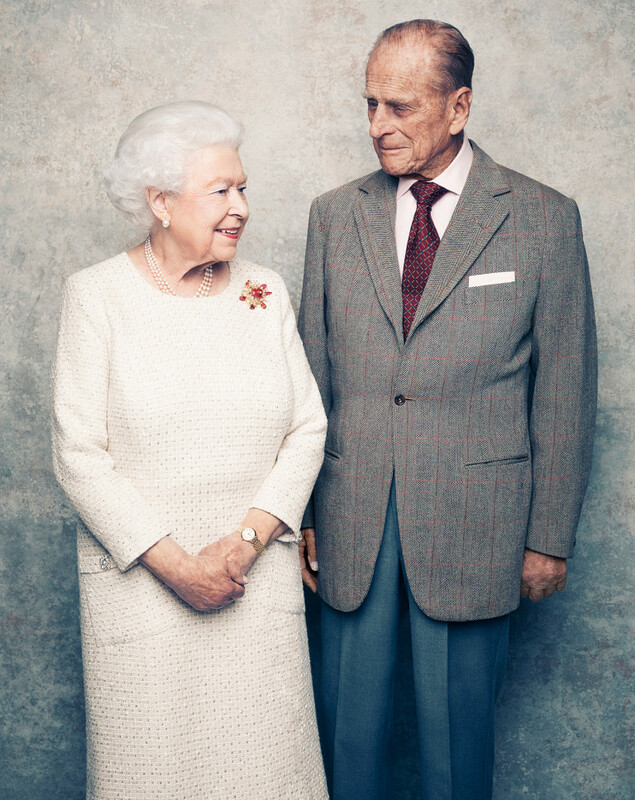 Queen Elizabeth II and Prince Philip marked their 70th anniversary on Monday, November 20, and the royal British couple chose to formally commemorate the occasion with an official portrait session. The Kensington Palace Twitter account released the first look at the intimate and sweet shoot. “Wishing a very happy 70th wedding anniversary to Her Majesty The Queen and His Royal Highness The Duke of Edinburgh,” the account’s caption read. The accompanying snapshots were taken at Windsor Castle’s White Drawing Room. Celebrity photographer Matt Holyoak was tapped to document the session, and—as usual—the Queen’s style selection was on point. Princes William and Harry’s grandmother chose a cream dress by Angela Kelly, which she paired with pearl earrings and a pearl necklace. She subtly expressed her love to Prince Philip with a gold, diamond and ruby brooch that he gave her back in 1966. The Queen and Prince Philip, then Lieutenant Philip Mountbatten, married at Westminster Abbey on November 20, 1947. The couple’s marriage is the longest lasting in British royal history. To celebrate the occasion, the Queen and her husband will enjoy a 70th wedding anniversary dinner in private with other members of the royal family at Windsor Castle on Monday evening. Be the first to comment on "Queen Elizabeth II and Prince Philip’s 70th Anniversary Portrait Session Is Goals"